“When I got the chance to record my first album, I wanted it to reflect music that I really love. Like many people, David Bowie was one of my musical heroes and with my new album Rise released on the 26th April, I’m proud to release a video single of his 2013 song ‘Where are we now?’. It was shot in Berlin (where else?) and you can view it here“. ‘Where are we now?’ is also available on Rise, released on Friday 26th April. You can pre-order via this link. “Our choices include Dvorak’s New World Symphony, a film score by Quincy Jones, a mesmerising piano miniature by Nadia Boulanger, and some classic Ella Fitzgerald and Louis Armstrong. Look out for some of my future guests including pianist Isata Kanneh-Mason, double bassist Sam Becker, and former ‘BBC Introducing’ pianist and sound artist Belle Chen. 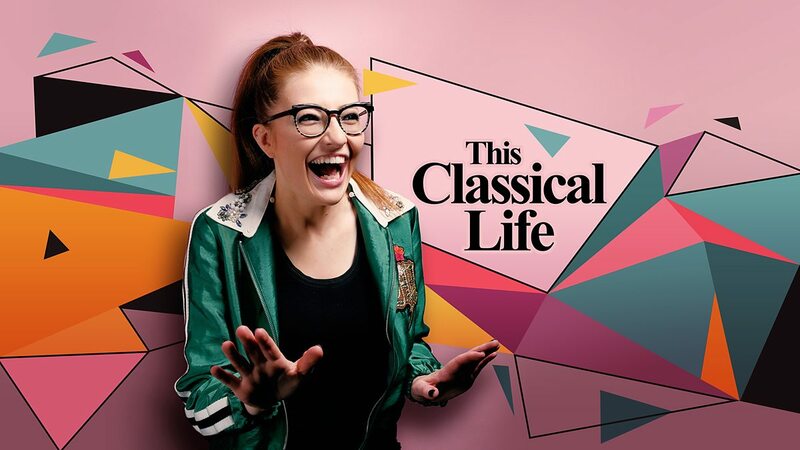 ‘This Classical Life’ is also available as a podcast on BBC Sounds and you can visit the show’s page here“. “I really hope you enjoy it”. A revamped Saturday schedule showcases the distinctive BBC Radio 3 musical offering and features a brand new weekly programme This Classical Life, fronted by rising star saxophonist Jess Gillam, who recently wowed audiences at the Baftas and was the highlight of the Last Night Of The BBC Proms in 2018. The 20 year-old former BBC Young Musician finalist – who will be the youngest presenter on the station – will be joined each week by her contemporaries to select and discuss their favourite pieces from across the musical spectrum, giving an insight into the musical influences on young performers. Confirmed guests include 22 year-old pianist Isata Kanneh-Mason, double bassist Sam Becker, former BBC Introducing pianist and sound artist Belle Chen, and film and television composer Ollie Howell. This Classical Life will immediately precede Radio 3’s popular Saturday lunchtime programme Inside Music, giving audiences the unique opportunity to hear from different musicians on Radio 3 every Saturday, all sharing their own insights and perspectives on their favourite music. The first episode of This Classical Life will air on BBC Radio 3 on Saturday 6 April and will be available as a podcast on BBC Sounds. As part of this year’s ‘Love Classical’ festival at the Royal Albert Hall, Jess will be performing Michael Nyman’s Where the Bee Dances together with the Royal Philharmonic Orchestra. On Tuesday 30 April, the Royal Philharmonic Orchestra and Rising Stars of Classical, presents the music of Mussorgsky, Rodrigo, Glinka, Dvořák, Rachmaninov, Nyman and Stravinsky, performed by some of the UK’s most brilliant young musicians. Soprano Lauren Fagan, guitarist Sean Shibe and star of the Last Night of the Proms, saxophonist Jess Gillam are all brought together under the baton of yet another rising star, conductor Jamie Phillips. A varied repertoire will also include arias by Rachmaninov and Stravinsky, the famous Concierto de Aranjuez, and Mussorgsky’s Pictures at an Exhibition. This concert is one of the headline events of the Royal Albert Hall’s 2019 Love Classical season, which celebrates some of the most distinctive and original voices in classical music today. For more information about this concert, visit the Royal Albert Hall’s website. If you agree with Jess’ sentiments perhaps you would consider sharing the letter by visiting The Guardian’s website, or by writing to your local MP. Saxophonist Jess Gillam has been selected as one of WQXR’s ’19 for 19′, celebrating outstanding talent in the field of classical music. Anyone that’s been following Jess’ social media recently will know that last month she popped over to America. This included a performance at the launch of New York’s WQXR classical music radio station’s ’19 for 19′, “an annual list of the most exciting classical artists on the planet”. ’19 for 19′, is described by WQXR as “a group of artists we love that includes long-time heroes, established favorites and newcomers set for stardom”. You can read more about ’19 for 19 and the artists selected here. Jess has been shortlisted for ‘Best Classical Artist’ category at the Global Radio Awards. The Global Awards celebrate stars of music, news & entertainment and you can vote for Jess by following this link. Winners will be announced at the Global Awards on March 7th. 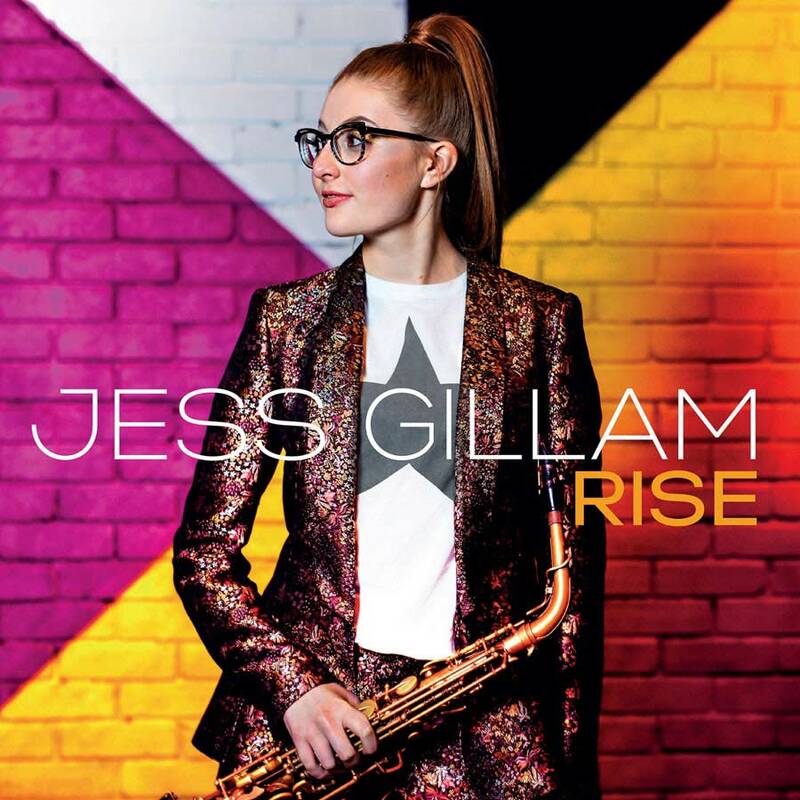 After her sensational performance at last night’s BAFTAs, inspiring young classical saxophonist Jess Gillam announces the release of her debut album ‘Rise’ on 26th April on Decca Classics. It is a collection of pieces which showcase her phenomenal talent and diverse musical taste, ranging from Marcello and Shostakovich to David Bowie and Kate Bush. Fans can also relive her BAFTA performance as she releases ‘Theme from Love Story’ as a brand new digital single (out now) – watch the music video HERE. You can follow this link to preorder now. 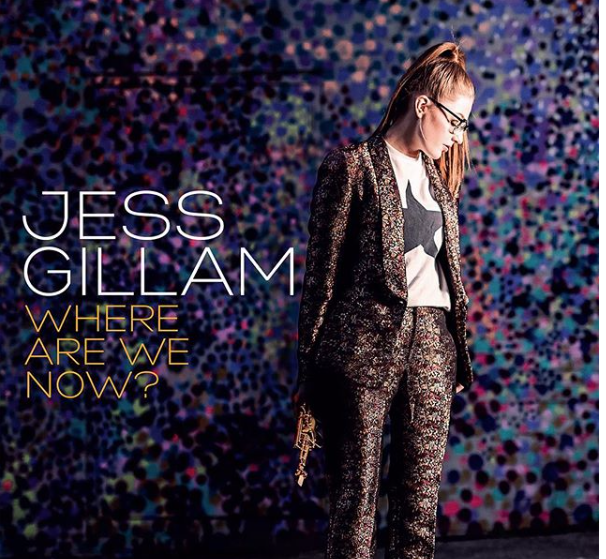 Jess Gillam’s new album ‘Rise’ reflects her own musical journey and the pieces which have inspired her in her career. She recorded it with the BBC Concert Orchestra and chamber musicians, as well as celebrated guitarist MILOŠ, who features on the track ‘Flow My Tears’ – a transcription of the familiar Renaissance lute song by John Dowland. The album includes beautiful cover versions of songs by two of Jess’s biggest heroes: Kate Bush’s ballad ‘This Woman’s Work’ and David Bowie’s timeless ‘Where Are We Now?’. There are also familiar hits from the world of film, such as ‘Closing In’ by John Williams (as featured in Steven Spielberg’s 2002 film Catch Me If You Can), Michael Nyman’s ‘If’ (from The Diary of Anne Frank) and the bonus track, Francis Lai’s ‘Theme from Love Story’. The recording also features two of Jess’ signature pieces: ‘Pequeña Czarda’ by Pedro Iturralde, which she played in BBC Young Musician 2016 wind category final, and Darius Milhaud’s ‘Brazileira’ from Scaramouche, which she performed to great acclaim at the Last Night of the Proms – described by BBC News as the “indisputable highlight” of last year’s spectacular event at the Royal Albert Hall in London. ‘Rise’ also features virtuosic encores and popular classical works, such a saxophone version of Marcello’s Adagio from his well-known oboe concerto, Wiedoeft’s charming Valse vanité and a new arrangement of Shostakovich’s Waltz No.2 from his second jazz suite – as featured in Stanley Kubrick’s 1999 film Eyes Wide Shut. Plus there are two popular songs: the traditional Russian folk tune ‘Dark Eyes’ in a new version by John Harle; and Kurt Weill’s impassioned Je ne t’aime pas. Hailing from Ulverston in Cumbria, Jess Gillam is blazing a trail in the music world with her outstanding talent and infectious personality. She is the first saxophone player to sign an exclusive recording deal with Decca Classics and has already released a series of digital singles on the label. Jess first caught the public eye during BBC Young Musician 2016 when, at the age of 17, she made history as the first saxophonist to reach the final of the competition. She made her BBC Proms debut at the Royal Albert Hall in 2017 and returned the following year as part of the BBC Young Musician 40th Anniversary Prom. She also performed at Proms in the Park in Hyde Park before dashing across to the Royal Albert Hall to perform in the Last Night of the Proms. Jess’ concert career continues to go from strength to strength. She started 2019 by making her US debut in Washington DC and was also named one of WQXR’s ‘19 for 19’ Artists to Watch, playing at the launch event in New York. Her international dates include performances with Gothenburg Symphony Orchestra (Sweden), L’Auditori Barcelona (Spain), Argovia Philharmonic (Switzerland), Tampere Philharmonic (Finland) and the Lucerne Festival. She also appears extensively in recital throughout the UK and performs with orchestras including the BBC Philharmonic, BBC Concert Orchestra, Royal Northern Sinfonia and Manchester Camerata. She is a champion of new music for saxophone and there will be a number of new commissions written for her over the coming years. 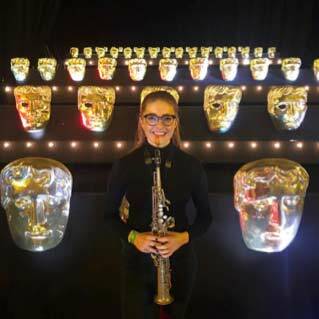 Hooked on saxophone from a young age, Jess is keen to give people from all backgrounds access to classical music and has set up her own concert series in Ulverston, bringing world-renowned musicians from across the world to her hometown. She is also a patron for Awards for Young Musicians, a charity which offers promising young performers support to progress their musical talent. Jess continues to be mentored by internationally-renowned saxophonist and producer John Harle. Jess talks eloquently about music and has already made a number of high profile media appearances in the UK. She contributes to programming and presenting on TV and radio, and hosts the BBC Young Musician podcast alongside bassist Sam Becker and pianist Zeynep Özsuca. She also featured in a TV documentary celebrating the 40th Anniversary of the BBC Young Musician competition. Throughout the 2018 Proms season, Jess appeared in a weekly slot on BBC Radio 4’s Today programme alongside broadcaster James Naughtie, and she has presented an episode of Saturday Classics on BBC Radio 3. A free spirit in style and character, Jess Gillam is constantly seeking new opportunities for the saxophone and is always pushing musical boundaries. With her debut album ‘Rise’, there looks to be no stopping this bright and adventurous young musician as she reaches the latest milestone in her flourishing career. Click here for a copy of this press release. “It was a great honour” for Jess to perform ‘Love Story – Theme’ at last night’s BAFTA awards. Head over to Jess’s social media streams for photos and videos from the night. You can also watch Jess’ music video here. Jess has written an article for the Guardian recommending 5 pieces of classical music for beginners. Take a look and have a listen!